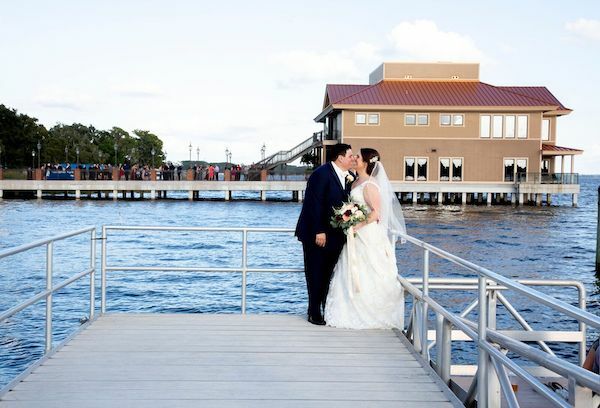 Caitlin and Antonio selected the John Michael Exquisite Weddings and Catering Diamond Package for their recent wedding at the Tavares Pavilion. 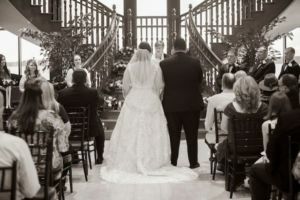 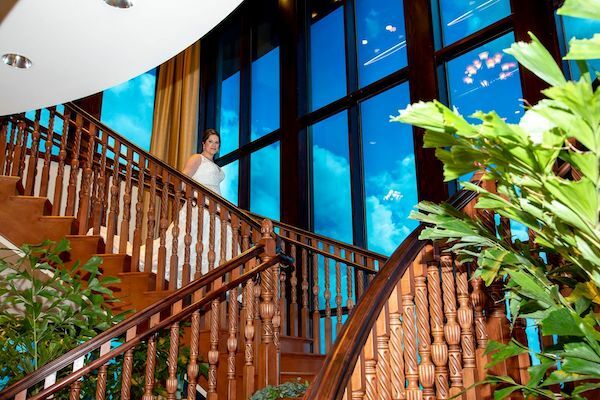 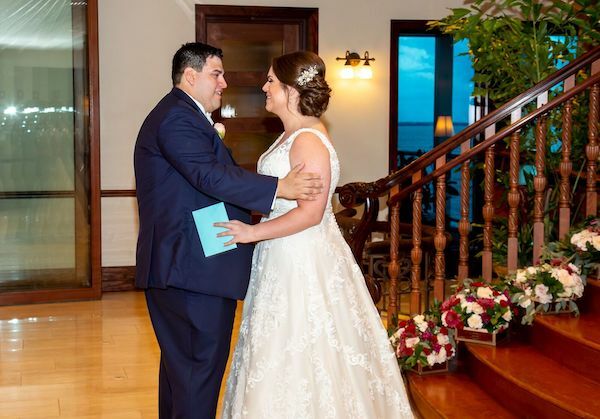 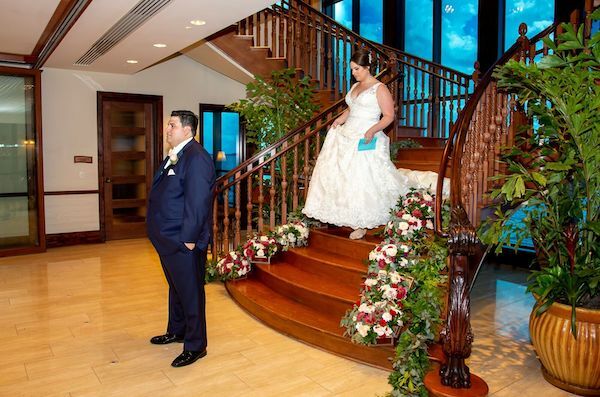 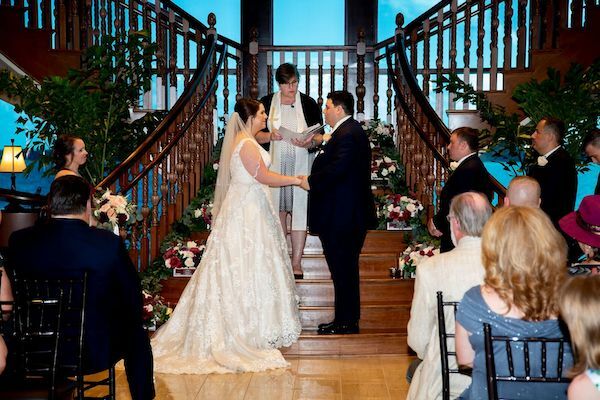 Caitlin and Antonio had their first look on the Pavilion’s sweeping staircase where they exchanged vows in front of family and friends. 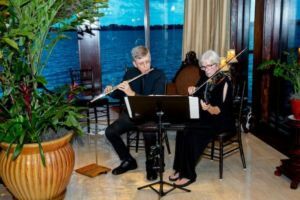 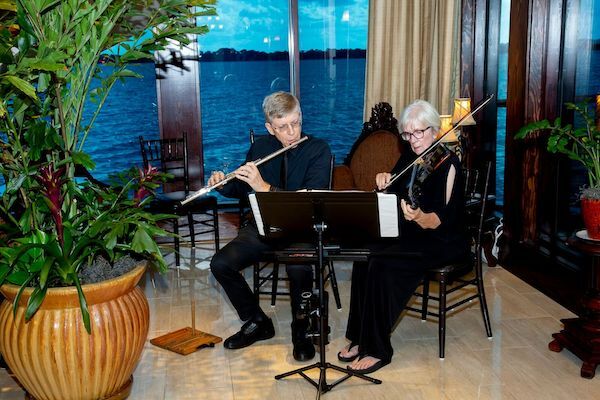 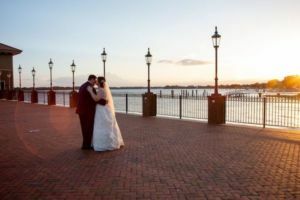 The weather was beautiful for the couple to take advance of outdoor photos with the amazing lakefront views as a backdrop before returning to the pavilion for a night of dinner and dancing. 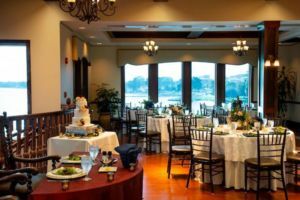 They chose to begin dinner with a plated Salad John Michael selection served with freshly baked Rosemary Garlic, Honey Wheat and Plain Yeast Rolls with Butter Rosettes. 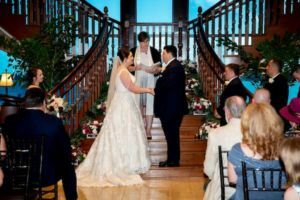 In addition to these four amazing dished they chose a Chef Carved Flank Steak with Chimichurri Sauce, Pomerey Mustard and Horseradish Cream. 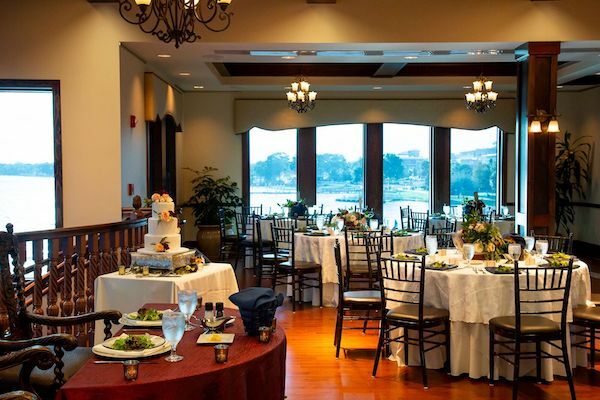 The banquet room looked beautiful with its elegant wood tones accented with the burgundy linen and navy napkins; the perfect accent to the burgundy and white centerpieces of lush greenery. 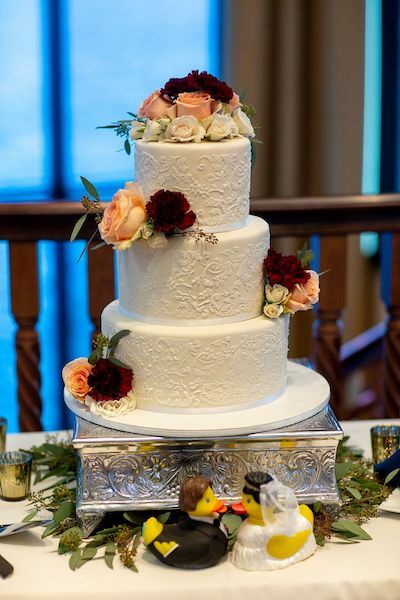 Beyond their delicious three-tiered embossed wedding cake, a wooden hutch contained assorted desserts: Key Lime Tarts, Cheesecake, Chocolate Covered Strawberries, Fudge and Caramel Brownies and assorted cupcakes surly impressed the guests. 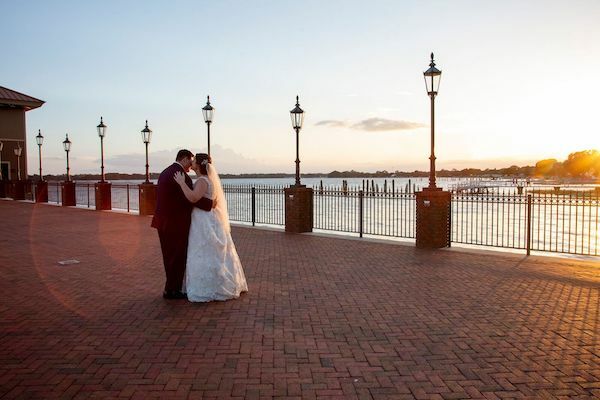 Guests had the time of their lives with Caitlin and Antonio as the sun set over Lake Dora. 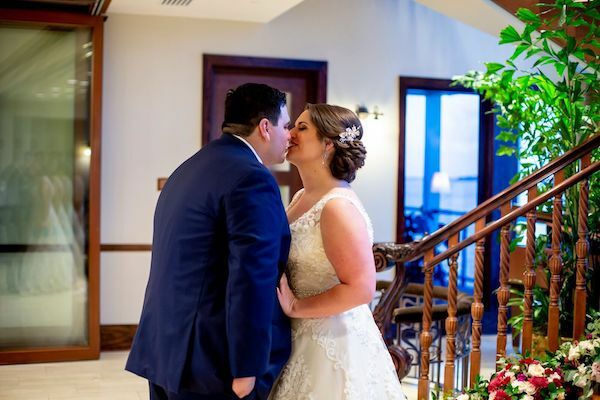 Thank you to the wonderful John Michael Exquisite Weddings and Events Diamond Package Vendors who made Caitlin and Antonio’s wedding such a huge success. Wedding Cake and Desserts – It’s Tasty Too!